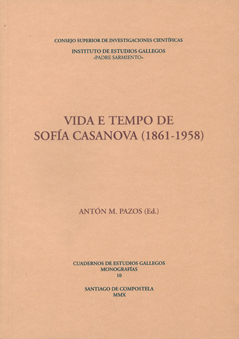 This book is a compilation of articles by a group of authors who agreed to take part, on the historical context and life history of the writer Sofía Casanova, a pioneer of war journalism from the start of the last century. Based on the exhibition of books run in 2008, which includes poems from the first collective work through to the latest editions, including Galician novels, collections of articles and illustrated stories. This book was added to our online catalog on Thursday 14 April, 2011.